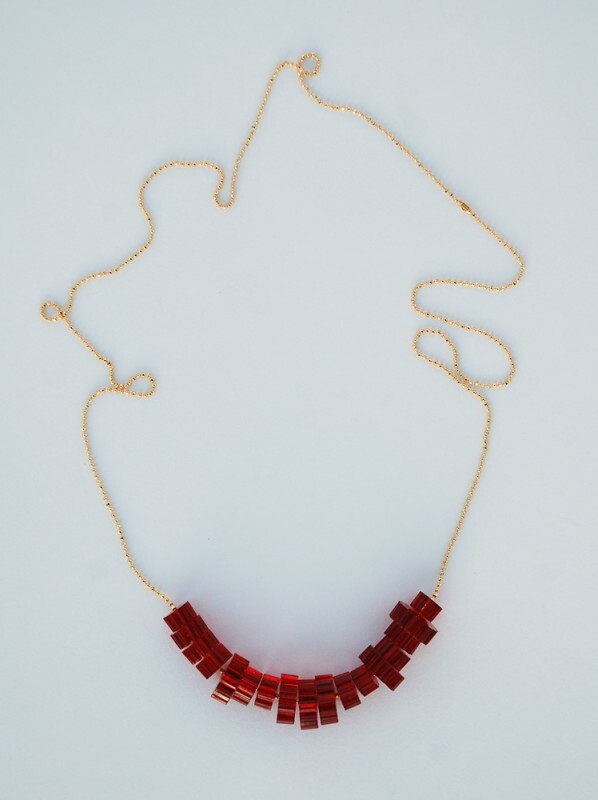 Custom designed acrylic red bead necklace strung on a long gold plated ball chain. 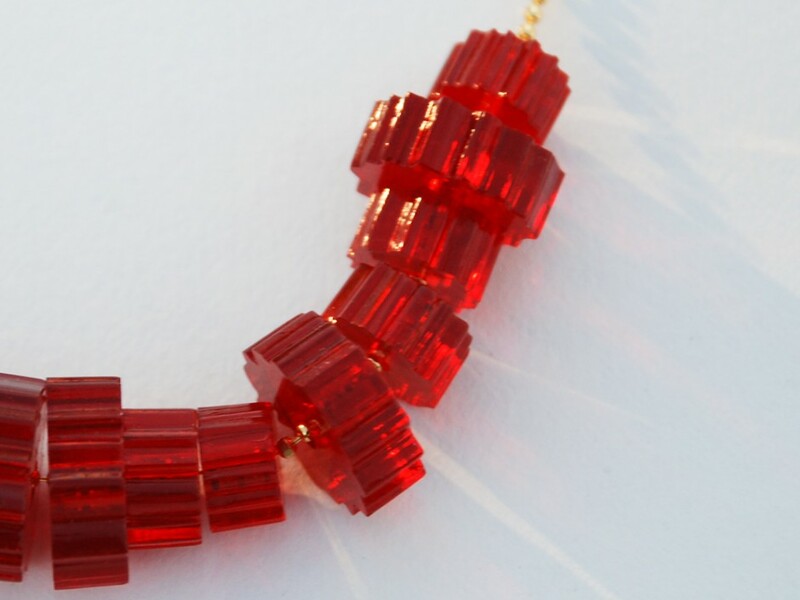 The bright red beads catch the light amazingly for an intense pop of color! 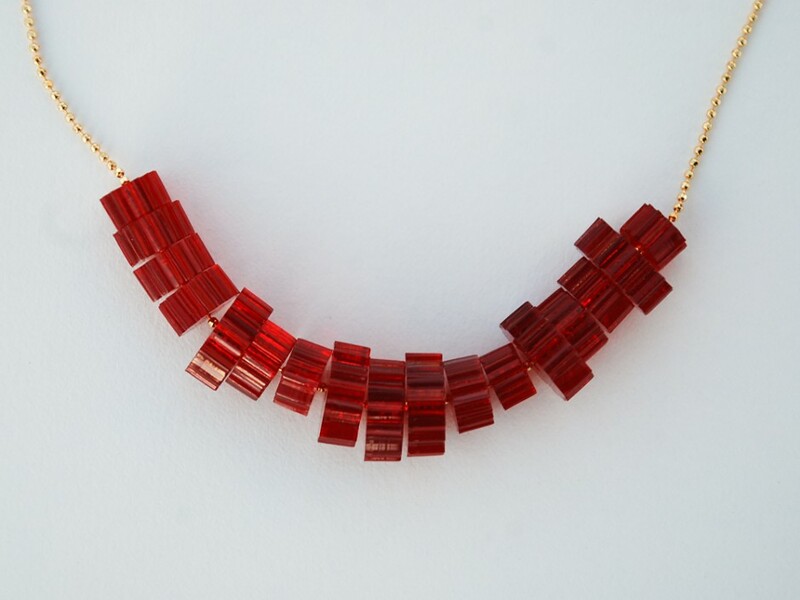 This necklace is great worn solo or layered!! 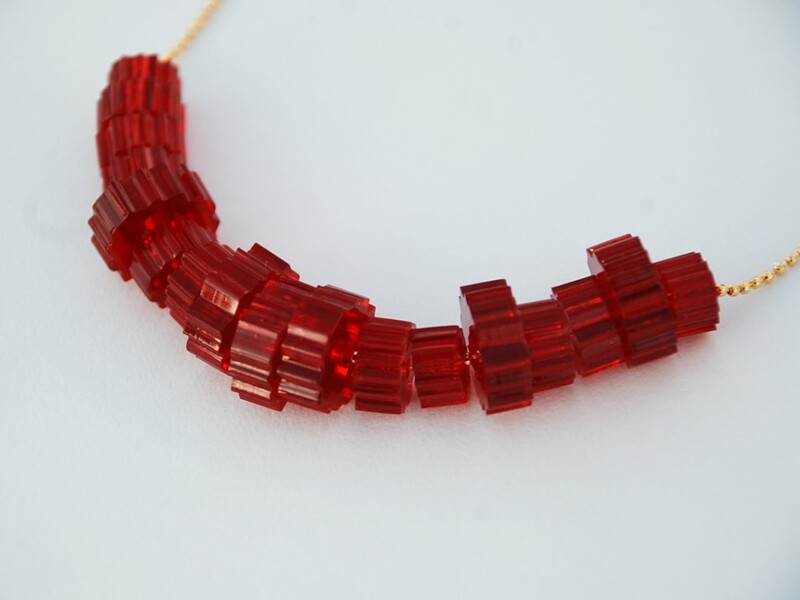 *Laser cut acrylic cogs range in size from 3/8″ to 5/8″.